All information, text, logos, graphics, images, software, and other content (referred to as the "Materials") that make up this Site are the property of KBS or its licensors. Copyright ?® 2014 Kenya & Beyond Safaris All rights reserved. The Materials may refer to transportation, hotel accommodations, restaurants and other services that are supplied by various independent suppliers (including, but not limited to, other KBS companies) that are not subject to KBS's control. KBS cannot, therefore, be liable for death, personal injury or any other loss that may occur (1) due to any act or omission of any such supplier, (2) by reason of any other event over which it has no control. No Materials from the Site may be copied, reproduced, republished, uploaded, posted, transmitted or distributed in any way, except that you may download one copy of site Materials on any single computer for your personal, non-commercial home use only, provided you keep intact all copyright and other proprietary notices. Modification of the Materials or use of the Materials for any other purpose is a violation of KBS's copyright and other proprietary rights. For purposes of this agreement, use of any such Materials on any other Web site or networked computer environment is prohibited. Journalists and search engines may cite or refer to the URL of this site without limitation. All others may cite or refer to the URL of this site once granted permission after completing our Marks & Logo Usage agreement. All trademarks, service marks, and trade names appearing in the Site are the property of their respective owners. 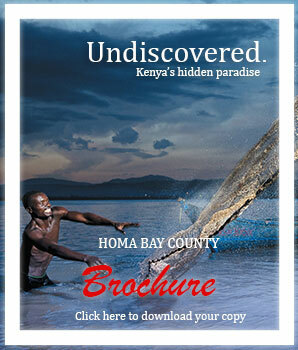 Unless otherwise specified, the Materials in the Site are presented solely for the purpose of promoting travel programs, services, and other products available in East Kenya, its territories, possessions and protectorates. Any offer for any travel programs, services, or products, made in the Materials is void where prohibited. This Site is controlled and operated by KBS from its offices within Nairobi, Kenya. KBS makes no representation that Materials in the site are appropriate or available for use in other locations. Those who choose to access this site from other locations do so on their own initiative and are responsible for compliance with local laws, if and to the extent local laws are applicable. The materials and this site are provided on an "as is, as available" basis without warranties of any kind either express or implied. To the fullest extent permissible pursuant to applicable law, KBS disclaims all warranties, express or implied, including, but not limited to, implied warranties of merchantability, fitness for a particular purpose and non-infringement. KBS does not warrant that this site or the server that makes it available are free of viruses or other harmful components. You (and not KBS) assume the entire cost of all necessary servicing, repair or correction. KBS makes no representations or warranties regarding the use or the results of the use of the materials in this site in terms of their currency, correctness, accuracy, reliability, or otherwise. KBS makes no representations or warranties whatsoever about any third party services or any web site which you may access through this site. When you access a non-KBS site, understand that it is independent from KBS and KBS has no control over or responsibility for contents on or the availability of that web site. A link to a non-KBS web site does not constitute or imply an endorsement or recommendation by KBS. All information on this site regarding travel programs, dates, prices, services and products is subject to change without notice. Applicable law may not allow the exclusion of implied warranties, so the above exclusion may not apply to you. Under no circumstances, including, but not limited to, negligence, shall KBS be liable for any direct, indirect, special or consequential damages arising out of or related to the use of, or the inability to use, the materials in this site or on any other hyperlinked web site or any third party services, even if KBS has been advised of the possibility of such damages. Applicable law may not allow the limitation or exclusion of liability for incidental or consequential damages, so the above limitation or exclusion may not apply to you. In no event shall KBS's total liability for all damages, losses and causes of action, whether in contract, tort (including, but not limited to, negligence) or otherwise, exceed the amount paid by you to KBS, if any, for accessing this site. This agreement shall be governed by and construed in accordance with the laws of the State of Illinois, without giving effect to any principles of conflicts of law. If any provision of this agreement shall be unlawful, void, or for any reason unenforceable, then that provision shall be deemed severable from this agreement and shall not affect the validity and enforceability of any remaining provisions. This is the entire agreement between the parties relating to the subject matter herein and shall not be modified except in writing, signed by both parties.